Yummy. Just the aroma, alone, of a fine piece of chocolate is so attractive to the senses. Chocolate is so sinfully delicious. But did you know it also has strong anti-oxidant properties, and can actually be good for you, including your face and body?! There are real beauty treatments that include chocolate---either in scent, cocoa powder, or cocoa butter, etc. Chocolate beauty products make elegant Christmas gifts, and the best part, each one is calorie-free!! 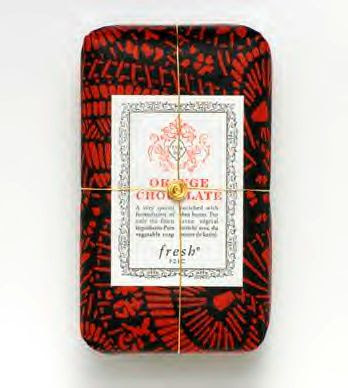 First we have Fresh Orange Chocolate Petite Soap ($12, 5 oz. box). Just the scent alone, is enough to want you begging for more. Smells like an orange chocolate truffle. This soap is actually a nice lathering cleanser. Rich in shea butter and vegetable glycerin. Find it at http://www.fresh.com/. And for your face, you must try Lush Cupcake Fresh Face Mask (under $10 at a Macy's counter near you). How about this one---a delightful minty chocolate face mask. This will brighten up and soften winter-dry skin. Formulated with wonderful and creamy cocoa butter and peppermint and spearmint oils. It even looks like a cupcake. A nice, refreshing consistency. Must be kept in the fridge--really fresh ingredients. Good for sensitive skin. Too bad we can't eat it. 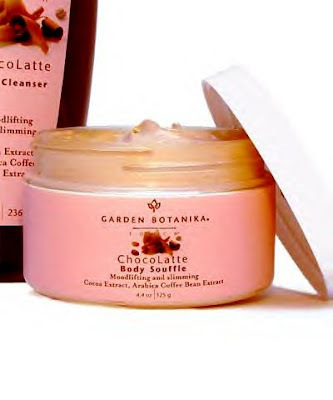 And lastly, Garden Botanika ChocoLatte Body Souffle (now on sale $6.00, 4.4 fl. oz.- http://www.gardenbotanika.com/.) What a decadent way to go----one of the nicest chocolate aromas in a jar. Simply nourishing for your entire body. Takes away the winter-whipped dry skin. 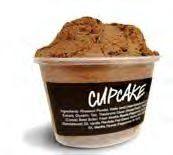 In a light and fluffy base--really does the job, with cocoa extract and arabica coffee bean extract. wow! I've been looking for a good hair beauty products and I'm really looking forward.